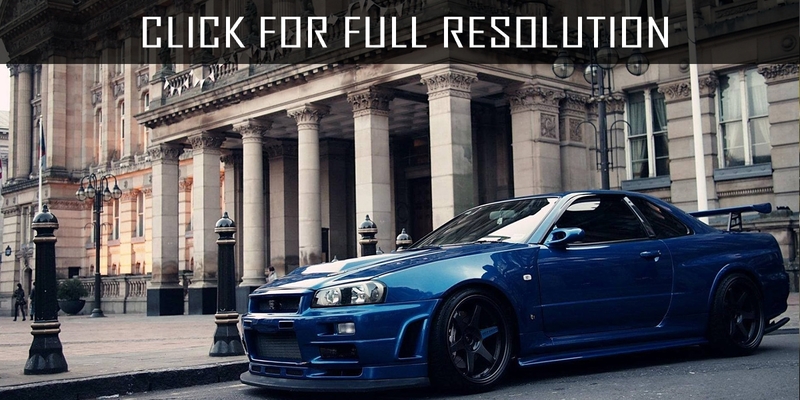 Nissan Skyline is a model with longitudinal engine layout, rear or four-wheel drive sedan and coupe. First version of Nissan Skyline was shown in 1957. Well, the real story began in mid-1980s, specifically 1986-88, with bodywork R31. Those models were powered first by RB20DE engine - 2-liter motor with two overhead camshafts rated at 155 HP as well as RB20DET- added turbine and power was increased to 215 HP. Another version was equipped by 1.8-litre petrol engines. There were also two-door sports coupes Nissan Skyline GTS-R. 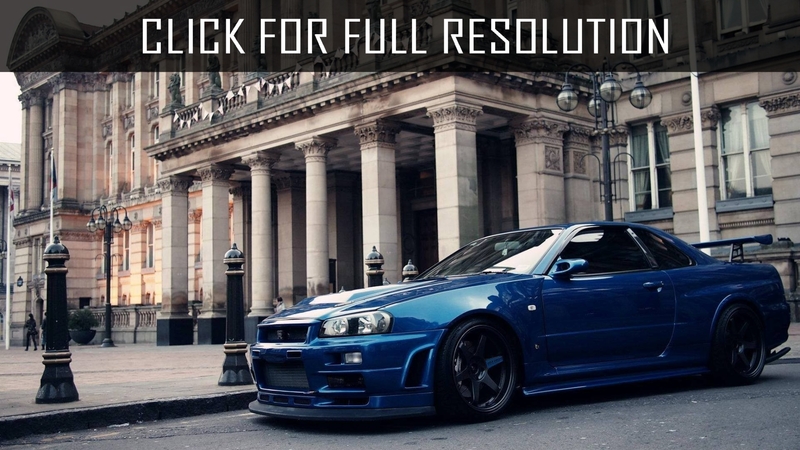 The eighties generation of Nissan Skyline was appeared in 1989 and went into series production under the body R32. This modification of Nissan Skyline were produced between 1989 and 1993 were more compact and sporty than others. In May 1989, Nissan Motor Company Ltd. was presented several verions of Nissan Skyline: GXI - 4-door sedan with 1.8-liter gasoline engine, GTE - 4-door sedan with 2-liter petrol SOHC motor, GTS - 4-door sedan and 2-door coupe with 2-liter gasoline DOHC, GTS-t - 4-door sedan and 2-door coupe with 2-liter gasoline DOHC and turbine engine. Turbo version of Nissan GTS-t was rated at 215 HP could accelerate to the first 100km/h in just 6 seconds. At that time, this car's curb weight was 1260 kg. Two years later, in August 1991, last modification of Nissan Skyline (GTS25) was appeared which was powered by 2.5-litre atmospheric DOHC engine. Four years later, in August 1993, the ninth generation of Nissan Skyline (bodywork - R33) was debuted. However, Nissan Skyline R32 GT-R was continued producing for another year, in parallel with other modifications of Nissan Skyline R33. In May 1998, the tenth generation of the model (bodywork - R34) was presented to the public. 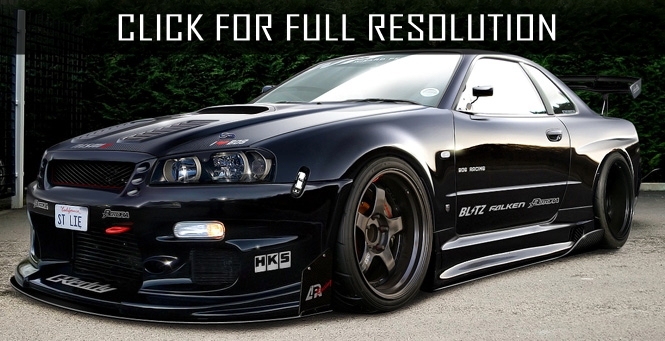 Nissan Skyline GT-R R34 is coupe of GT class, which is considered as tuning version of the model in Japan whose engine 2.6 litres 280 HP turned to two turbines 650 HP which makes speed and control the best in its class. 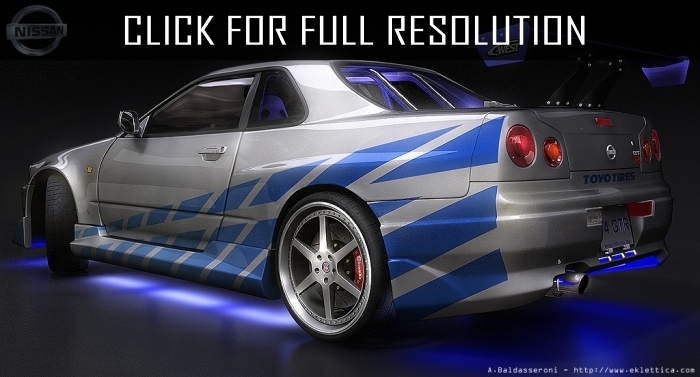 In summer 2001, Nissan officially introduced completely new generation sedan version of Nissan Skyline (bodywork - R35). The car is built on new enlarged platform with new body style: stylish appearance, unusual front and rear lights immediately attract attention to the novelty.